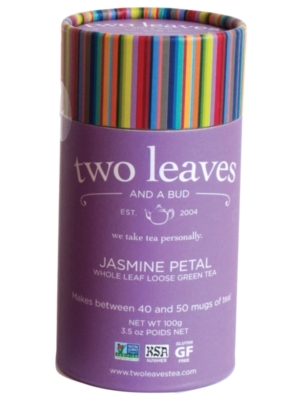 Our green tea is dried with petals of jasmine flowers to absorb the flavor. These quality green tea leaves are scented, not flavored with jasmine. The result is a divinely delicate floral aroma. The delicate floral aroma that lingers atop this smooth cup of green tea makes for an otherworldly experience. Inhale, then enjoy.Each cylinder makes 40+ mugs of tea. Each cylinder makes 40+ mugs of tea.